Caribbean based luxury sailing yacht SEAQUELL is a unique 32.9m (108ft) yacht built in 1992 by Alloy yachts. 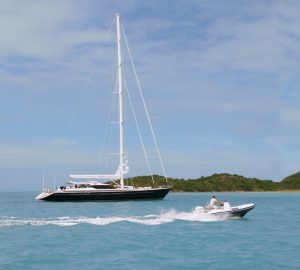 A stylish blue hull, unrivalled comfort and remarkable sailing performance, makes a charter on this yacht one to remember. A generous 7.6m (25ft) beam enables an expansive full width salon, with a C shaped seating area to the starboard and a dining table for 8 guests to port. With cherry wood and warm colors through the interior she is both aesthetically pleasing and comfortable. On the fly bridge relax on the sun pads or enjoy dinning el fresco style under the shade of the cockpit, with another table able to accommodate 8 guests. 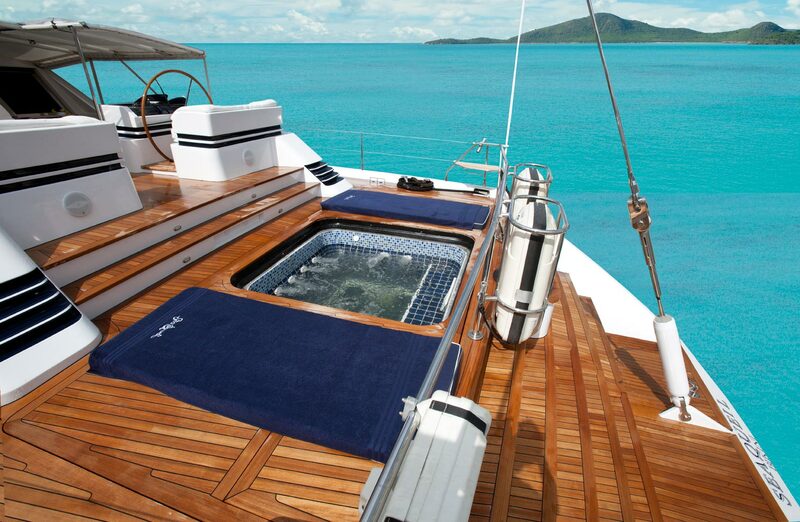 One of the most exceptional features of the yacht SEAQUELL is a Spa Pool located on the aft deck. 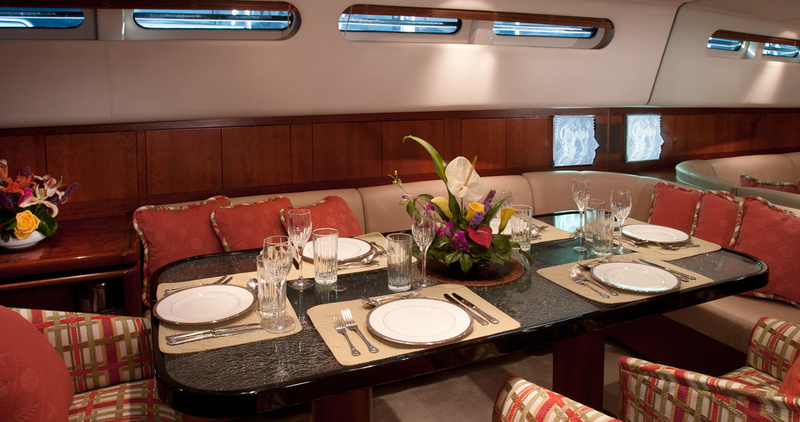 This is one of only a few yachts with this special feature. 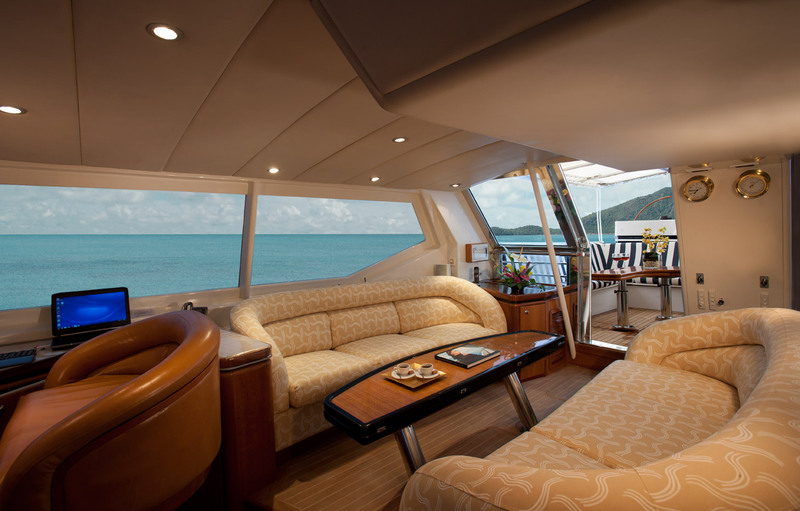 Luxury yacht SEAQUELL is perfect for a family group with children or a group of couples as it boasts convertible cabins able to accommodate a variety of guest configurations. Refitted in 2005, 2010 and 2013, Sea Quell is looking great! 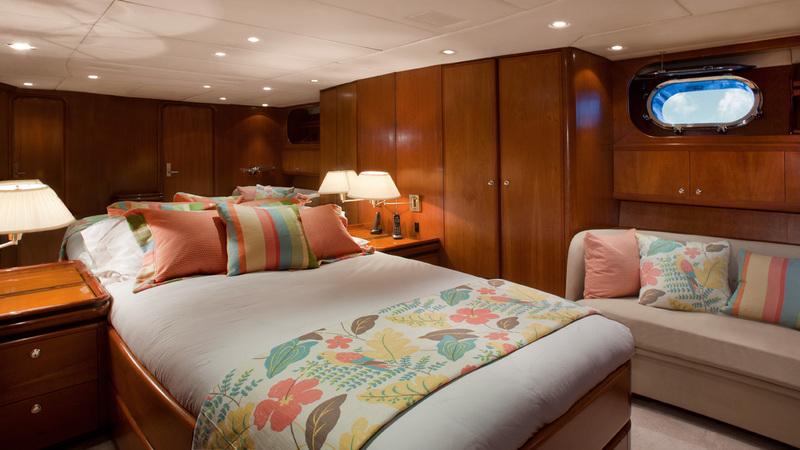 Luxury sailing yacht SEAQUELL can accommodate up to 6 charter guests in 3 Staterooms. 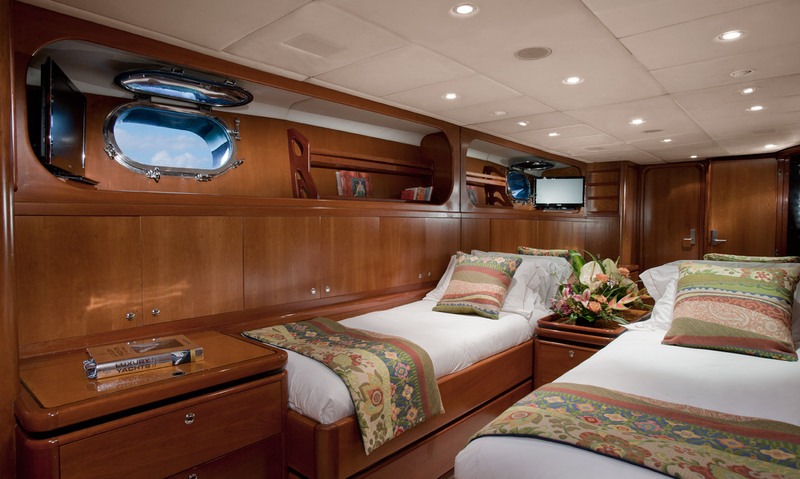 The Master stateroom has a king bed and occupies the full width of the aft beam. 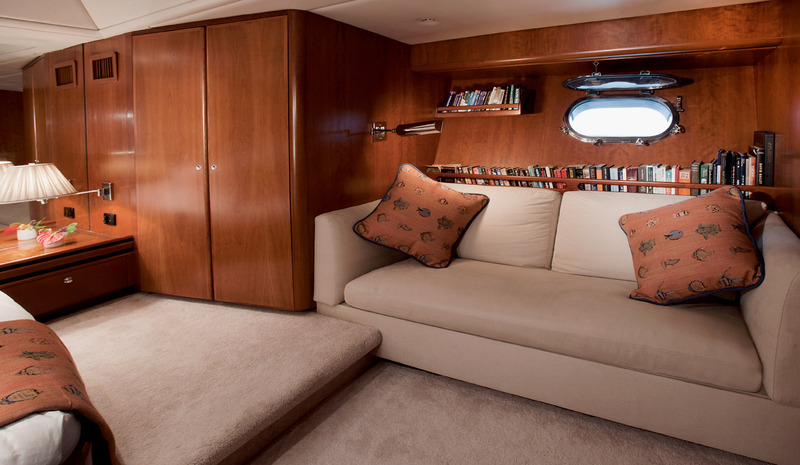 On the port side of the master cabin there is a seating area along with a study desk. 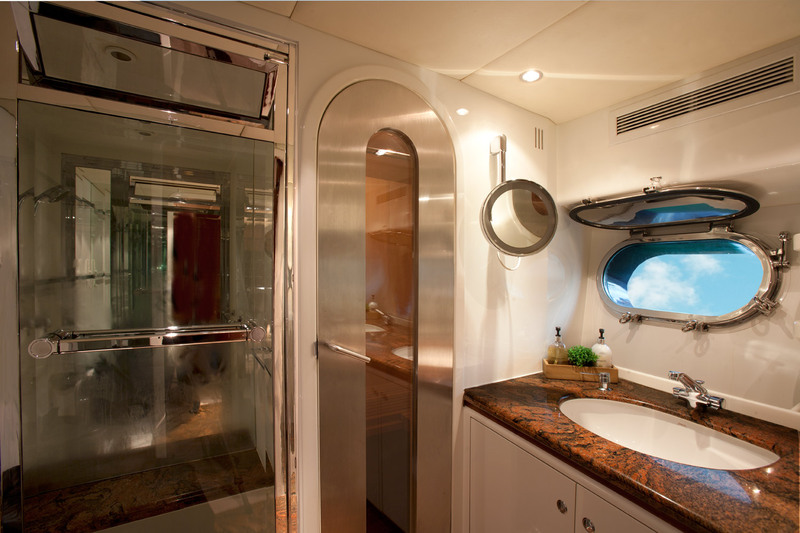 A full en-suite facility offers a large head with shower and sauna. 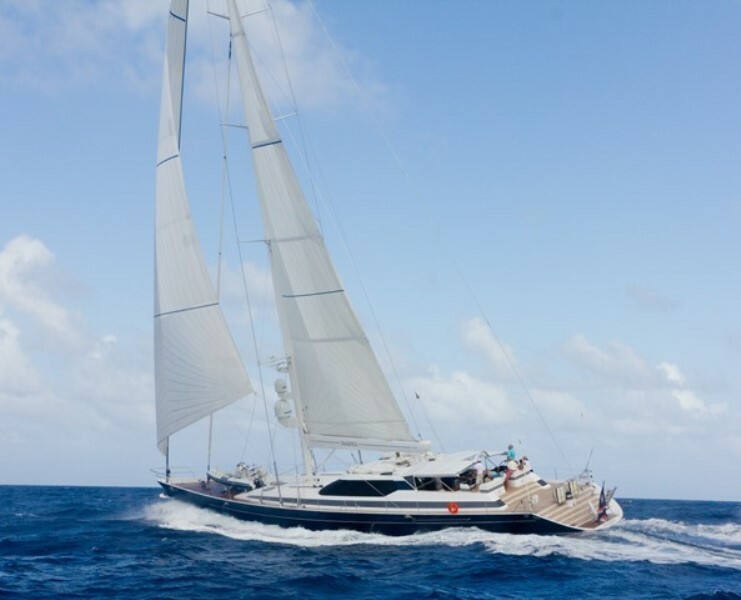 Perfect for couples or family groups, this unique sailing yacht is great for any number of cabin configurations. 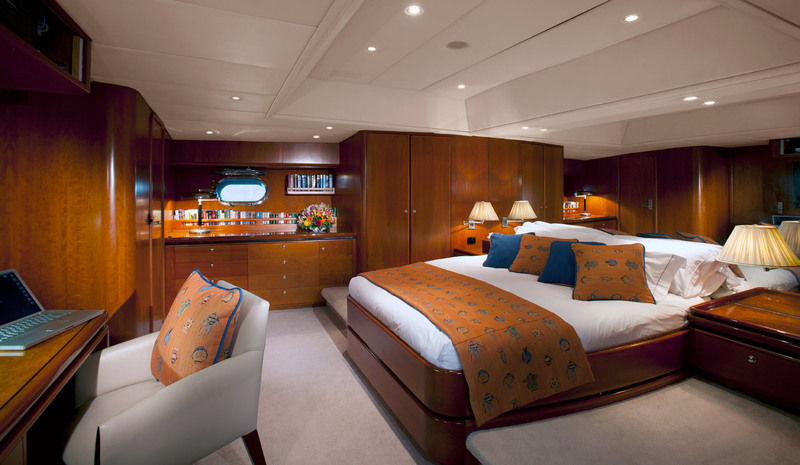 Amid-ships the VIP stateroom offers a queen-size berth while the third cabin has twin beds which are able to convert to a king if required. 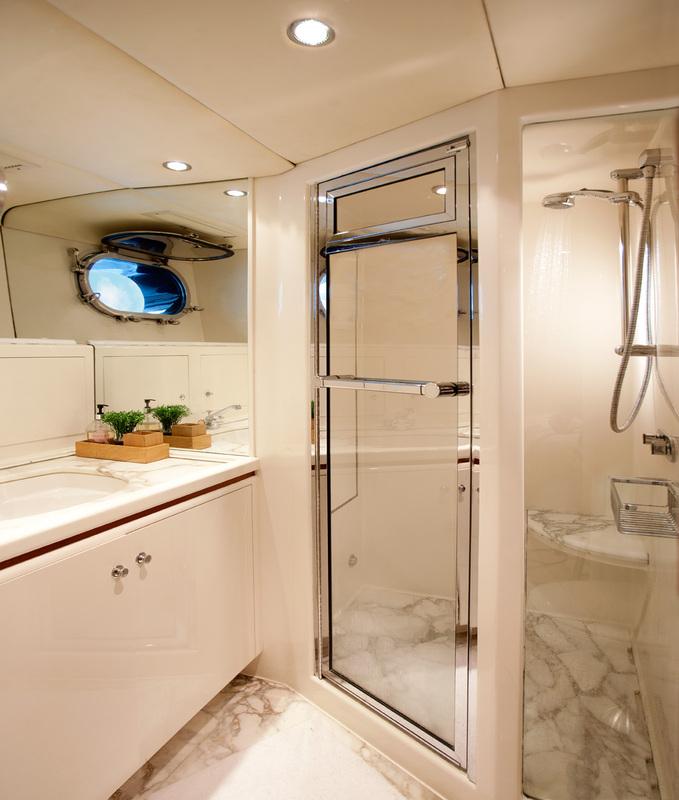 Sailing yacht SeaQuell underwent a refit in 2013 so she is in sparkling condition. 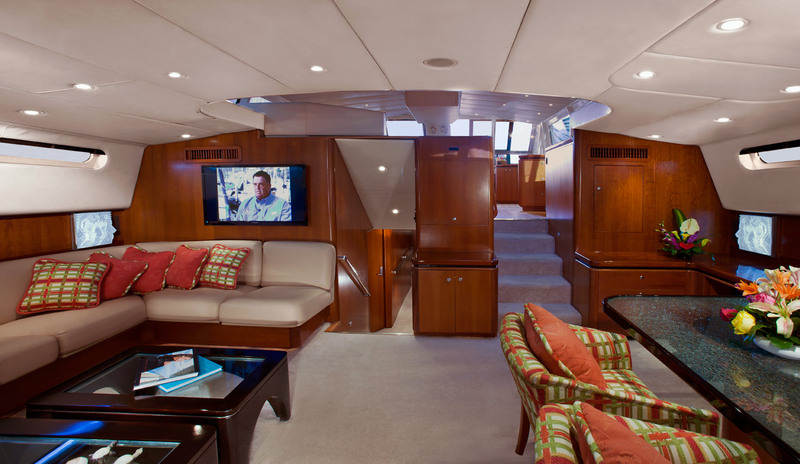 Inside the yacht features a TV, DVD in the saloon, master, VIP and Twin cabins. She has Wi-Fi in main living areas, Internet, Telephone. While outside enjoy the 18' Nautica Hull with 2 stroke 90 HP Evinrude, 2 x 2-person Hobie cat sea kayaks (new 2013), Water skis, Snorkeling equipment, 2 paddle boards (new 2013), Water tube, Fishing chair and fishing equipment, Assorted free weights, Speakers for iPod or radio, Blu-ray player in Salon, DVD library, 6 person custom Spa Pool on aft deck.